The Great Bear Camping logo features a black bear fishing. 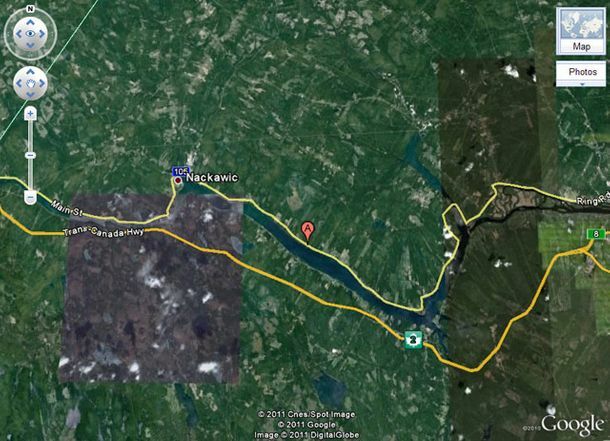 Prior to the creation of the Mactaquac Headpond, an island called Great Bear Island was located on the Saint John River in front of the campground. It is well known by elders in the community that black bears flocked to Great Bear Island to feast on salmon during the annual salmon run. Although the island is now hundreds of feet under water and black bears are rarely seen in the area today, we enjoy keeping this history alive by calling our business Great Bear Camping and using a bear fishing as our logo. Great Bear is located in the rural community of Bear Island, on the banks of the majestic Saint John River Valley on a portion of the river called The Mactaquac Headpond. Our ideal location lets you live in the country while being minutes away from several world class Local Attractions. View the Google Earth live map here and also get directions. For over 37 years, Great Bear Camping has been the first choice for those who have a “Love of the Great Outdoors.” Take a Virtual Tour of the campground and see our complete listing of modern amenities on our Features page or read our reviews on Trip Advisor. “This designation assures our visitors that the property –Great Bear Camping- has been inspected and meets or exceeds minimum standards of amenities, cleanliness, repairs and staff courtesy.” Province of New Brunswick, 2014. For more information, check out our profile on Tourism New Brunswick.